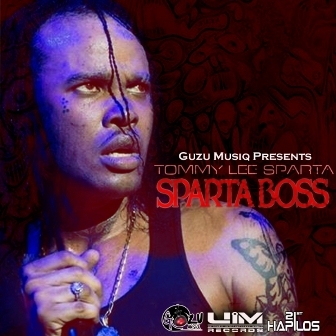 Guzu Musiq & UIM Records presents Tommy Lee Sparta "Sparta Boss" featuring the hit singles "Fury", "Demon Girl", "Captain Sparta", "Di Creature" featuring JImbo, "Risk", "Vibes", "Bun Nu Nu", "Real Bad Gyal" featuring Stylysh, Destiny & Tabeta, "No Make Me Feel So" and "Know Bout". Despite being considered one of the most controversial figure in dancehall, Tommy Lee Sparta popularity keeps growing with various hit singles and delivering videos which have garnered millions of views on youtube. To satisfy all musical fans, "Sparta Boss" album comes both in explicit and radio friendly version. Distributed by 21st Hapilos Digital, is available on itunes. Head Concussion presents Shawn Storm "Gallis Persona". Incarcerated alongside his mentor Vybz Kartel, Shawn Storm hasn't giving up on his craft, on the contrary, the dancehall artist has kept up his skills by delivering singles sporadicly, and with blazing productions delivered such hit singles as "Gallis Persona" now available on itunes via 21st Hapilos Digital. Produced by his super producer brother "Di Genius", Chino's "Wet Weather Music" evokes a reminiscent feel good era. Hailing from a legendary family, one can hear the vocal inspiration as Chino bridges dancehall and reggae. Di Genius Records "Wet Weather Music" is available on itunes, distributed by 21st Hapilos Digital. Sniggy - Head Concussion presents Chan Dizzy & Hollow Point "The Don". Appropriate title for a single featuring 2 rising stars, Chan Dizzy known for his dancehall and Hip Hop infused style, and Hollow Point's edgy dancehall approach. "The Don" is now available on itunes via 21st Hapilos Digital. Cashflow Records presents "Better Way Riddim". Recent recipient of 2013 MIA Awards (Music Industry Achievers Awards) for "Producer of the year", Cashflow records have had a succession of hit riddims. This latest is no exception has it features Bugle "Unnecessary Hype", Jah Vinci "Tower Of Strength", Melloqence "Overcome", Romain Virgo "When You Cry" and T'Nez "Count Your Blessings". Distributed by 21st Hapilos Digital, "Better Way Riddim" is now available on itunes. Studio Vibes Entertainment presents "Jet Stream Riddim" features a star studded line up such as critically acclaimed reggae star Sizzla with "The Gal Dem", Munga "House Pon The Hill", I-Octane "She's Dangerous", Khago "Shatty Mek It Shoot", Seanizzle "Weh Dem A Pree Me Fah", Alkaline "Money Fantasy", Chan Dizzy "Loyalty Fi Loyalty", Currenci "Nuh Born See Riches", G Loc "Smoke It Up", Squeel "Living My Life" and Nuklear & Tarique "Never Never". The hit filled riddim is now available on itunes via 21st Hapilos Digital.